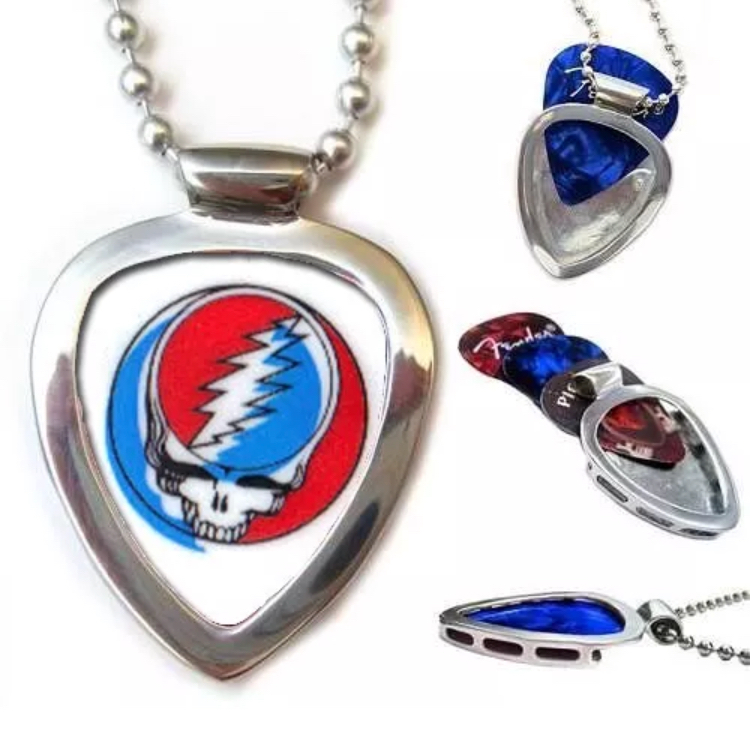 PICKBAY STAINLESS STEEL Guitar PICK Holder Pendant w Grateful Dead Guitar Pick. PICKBAY is the ULTIMATE cool gift set! This authentic Pickbay set is complete with the out of production Licensed Grateful Dead cool guitar pick! 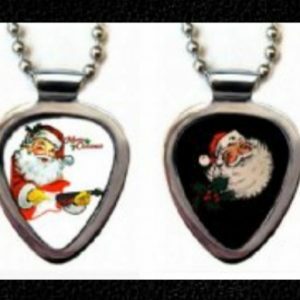 PICKBAY guitar pick holder pendant is the ultimate musician gift or music fan gift. Awesome! SO VERY ROCK N ROLL, BABY! Makes a great gift for your band mate, best friend, boyfriend, girlfriend, dad, mom, sister, brother, for the guitar or bass player, or the fan with collectible concert picks for display. Fabulous set. Package is ready to give as a Authentic Stainless Steel PICKBAY PENDANT!!! FRESH FROM THE SUNSET STRIP IN HOLLYWOOD, BEST, READY FOR THAT “GUITAR PICK EMERGENCY”……COOLEST NEW MUSICIAN GIFT SET GUITAR PLAYER OR THE MUSIC BAND FAN! 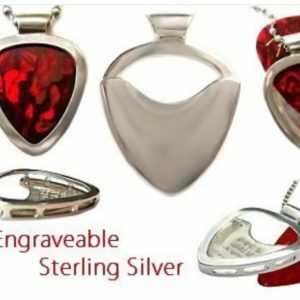 NEWLY PATENTED PRODUCT, PICKBAY tm….PLUS a polishing pouch to complete the gift set, INCLUDED WITH THIS PENDANT. The “PICKBAY” PENDANT FITS THIN, MEDIUM and heavy PICKS. It holds 1-3 guitar picks. This auction is for the CHROME stainless steel version! 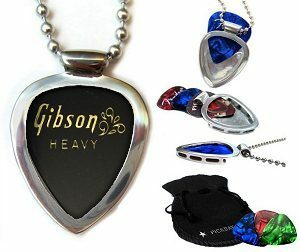 GREAT FOR the guitar player… for THE guitar pick “emergency” as well as the coolest “guitarist bling” thing, great for music fans too. FINALLY A COOL WAY TO DISPLAY YOUR COLLECTIBLE CONCERT BAND PICKS…INSTEAD OF THROWING those guitar picks IN A DRAWER. Ships from Los Angeles. 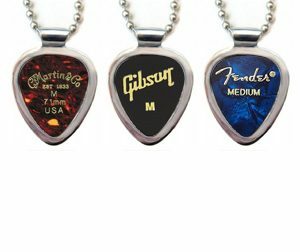 ** please note that PICKBAY is the original designer & manufacturer of the 351 style Guitar pick holder pendant. If it is not marked PICKBAY, it is NOT an authentic PICKBAY.